First line: A globulous giant head, evil grin stretched wide across its glowing orange face, teeth jagged as a buzz saw, bobbed and pecked at the air above Carmela Bertrand's head. From the inside cover: With the help of her best friend Ava Gruiex, Carmela is building a giant monster puppet for the French Quarter's gala Halloween Monsters and Mayhem Torchlight Parade. Things get terrifying earlier than expected when they overhear an argument between Jekyl Hardy and Brett Fowler - and just minutes later they find Fowler's body, his heart pierced by the razor-sharp horns of a gigantic Minotaur head. 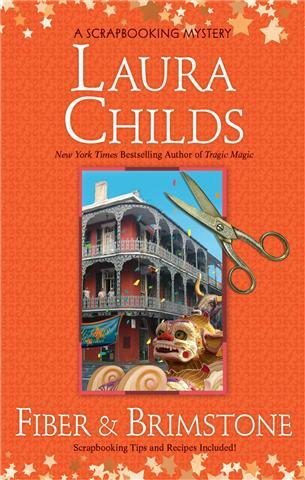 My thoughts: This is the 8th book in Laura Child's scrapbooking mystery series and it was a fun, quick read. Once again Carmela finds herself in the vicinity of a dead body. When her good friend, Jekyl is accused of the murder, Carmela, along with gal-pal Ava, decide to find out for themselves who killed Brett Fowler so they can clear Jekyl's name. Of course, Carmela does this against the wishes of her boyfriend, NOPD Lt. Edgar Babcock. Carmela is a fun, stable character while Ava provides quite a bit of quirkiness. Following the two of them on their adventures is always good for a laugh! Halloween is the perfect setting for this mystery, especially with the story taking place in New Orleans. 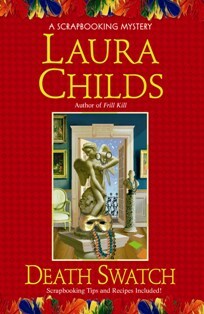 I love reading Laura Child's cozy mysteries - not only this series, but also her Tea Shop mysteries and the Cackleberry Club mysteries as well - because they are never too serious or too gruesome. Every once in a while I can even figure out who did it, which I was able to do with this one! I especially love the scrapbooking tips that are included throughout the book and at the end - I am eager to give some of them a try when I get back to my scrapbooking (which hopefully will be soon as I am way behind in my albums!). My name is Michael Bennet, and as far as I know, I'm still the only cop in the NYPD living in his own private TLC show. Some of my more jovial coworkers like to call me Detective Mike Plus Ten. From Tick Tock by James Patterson, pg. 11. First line: Mel squinted into the rain and darkness, creeping along the narrow, twisting, muddy, tree-enshrouded road and for the hundredth time thought, am I our of my mind? When the recently widowed Melinda Monroe sees this ad she quickly decides that the remote mountain town of Virgin River might be the perfect place to escape her heartache, and to re-energize the nursing career she loves. But her high hopes are dashed within an hour of arriving: the cabin is a dump, the roads are treacherous and the local doctor wants nothing to do with her. Realizing she's made a huge mistake, Mel decides to leave town the following morning. My thoughts: This is the first in Robyn Carr's Virgin River series and I loved it. It is a powerful and emotional story and I am excited to read the rest of the series. (I've already downloaded books 2, 3 and 4 to my Nook!) Virgin River is the type of town you can't help but love and want to return to over and over again. It is filled with people who care about their friends and neighbors and never hesitate to do what is needed in times of crises or simply when a helping hand is needed. This is such a refreshing change to the violent world we seem to live in today. The main characters in this story are Mel, Jack and Doc. Mel, a woman grieving her husband, shows up in Virgin River trying to escape her past. She wants to go back to being Mel, not a wife or a widow. Jack is the first friend Mel makes in Virgin River and it's fun watching their journey as they get to know each other. Doc, the person Mel is supposed to be working with, is a cantankerous old man set in his ways. He definitely adds comic relief throughout the story. The supporting characters are just as interesting as Mel, Jack and Doc, and I look forward to getting to know them better as the series continues. Robyn Carr has a way of telling the story that draws you right into it - many times I felt as if I was in Virgin River, experiencing the daily life right along with the characters. Day 3 brings an end to Bloggiesta IV for me. This fun event has been hosted by the lovely Natasha at Maw Books. Overall, I was pretty productive. I was able to spend the whole day working on my blog - lots of housekeeping/organizational stuff going on. It's pretty mundane stuff, but needs to get done and the Bloggiesta is the perfect opportunity to work on it. I added all my books read since 2003! Add book reviews to Goodreads - still need to do this - oh well, another day! I attempted to install IntenseDebate and ran into some problems, so I uninstalled it. I didn't end up reinstalling it - I am going to do some more research into commenting systems before committing to one! 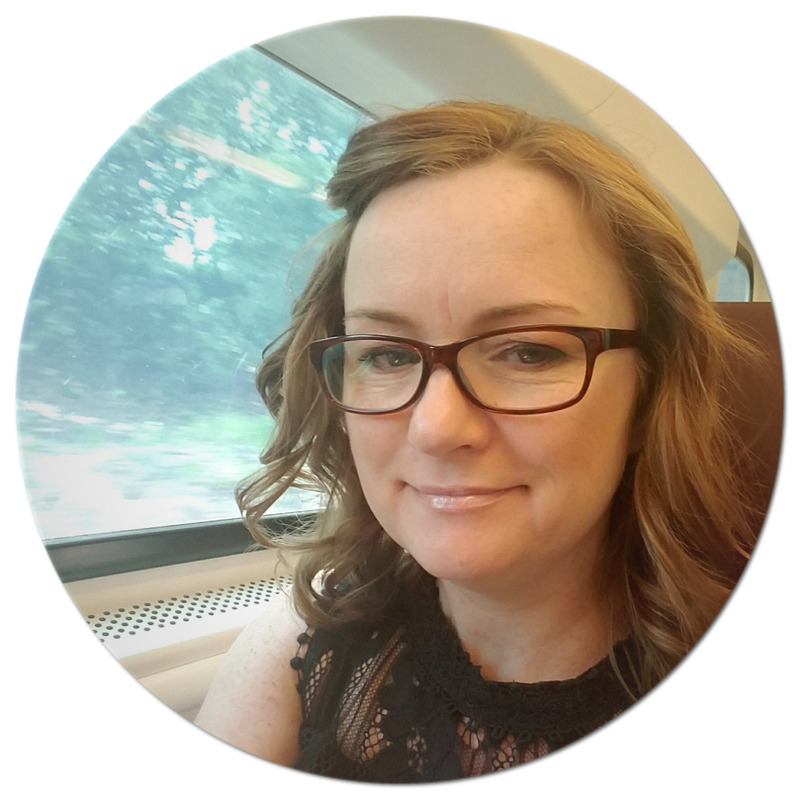 Bloggiesta Mini-Challenge: Google Forms hosted by Jen at Devourer of Books -you can still enter to win a Starbuck Giftcard by filling out the form - click here. Bloggiesta Mini-challenge: Footers hosted at Bookaliciou.us - I added a copyright footer! 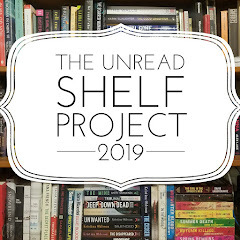 Bloggiesta Min-Challenge: Organize Thy Books hosted by Jenn at Jenn's Bookshelves - I created a google doc for logging review requests and I added a new tag to my emails in gmail. Whew...my eyes are killing me from spending so much time in front of the computer, but all-in-all, it was worth it! I got a ton done this weekend and already have a list to work on for the next Bloggiesta! Thanks again to Natasha for hosting this phenomenal event!!! Bloggiesta Mini-Challenge: Organize Thy Books! Jenn at Jenn's Bookshelves is hosting this mini-challenge and I thought I would chime in my organizational skills. In addition to Goodreads and my books read notebook, I have another notebook that I keep in my bag that lists books I want to read. I need to add some of these books to my Goodread account. I have marked in the notebook which books I own, which is another think I need to go on Goodreads - mark the books I own. I am fortunate to have tons of bookshelves in my house. I have a section for books that I've received to review and I have a section for autographed books. The rest of the shelves (with my books on it as opposed to hubby's books) are a mix of books waiting to be read and those that have been read that I want to keep. I do have a section for historical fiction and a section for hardcover fiction, and the rest is where all my fiction books are. I probably have close to 250 books on my bookshelf right now - and about 150 still need to be read. My system needs some work. As I stated above, I need to update Goodreads with my TBR list, and also add some tags - wishlist, book owned, review book, etc. I did start a Google Doc for the review books I get (just started it today, so only put in those books I have to still review). I think this will be very helpful. One thing I have been doing since I started receiving books to review is that I use a small desk calendar to keep track of book reviews, guest posts, etc. I find this helps me see what's coming up, what I need to start reading and what I am going to be reading next. Once I receive the book, I put a check mark on the calendar, to indicate I have the book. I also put a sticky note on the book, indicating when the review is, who requested it (author or publicist) and when I received the book - this is more for those books I get that don't have scheduled review dates. After reading some of the comments on Jenn's post, I added a tag to my gmail account - review request - so that I can easily keep track of all communication of requests. Thanks to Dee at e-Volving Books for sharing this! Thanks Jenn for sharing your ideas and hosting this mini-challenge! I finally have a button, thanks to the lovely and generous Gina at Hott Books, who graciously designed one for my blog!!! I absolutely love it and can't thank her enough for helping me with this. I will be adding a section on my blog for all those who have buttons - hopefully I will get to it today, otherwise expect to see it in the next few days. 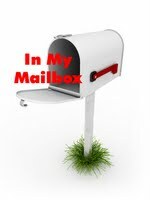 If you'd like to grab my button for your site, please feel free, and if I miss your when adding to my site, please let me know! Day 2 of Bloggiesta IV, hosted by the lovely Natasha at Maw Books, is completed and I think I was pretty productive. I was able to spend most of the day working on my blog as hubby was out in his home office working and it was way too cold here in New York to go anywhere. I'm hoping to have another productive day tomorrow. I attempted to install IntenseDebate and ran into some problems, so I uninstalled it. I am going to try again tomorrow as I really like this system. Fingers crossed it works tomorrow! If you are participating in Bloggiesta, how are you doing with your to-do-list? If you have installed IntenseDebate on your blog and you are using the blogger platform - do you have any tips for easy installation? I tried installing it earlier, thought it was working, and then realized that posts were showing up with no way to comment on, old comments were not showing up - basically a total disaster. I uninstalled it and am back to using blogger's default system, but really want to have the ability to respond to each comment - any ideas??? Any and all feedback is much appreciated!!! I had to uninstall the new commenting system because it didn't appear to be working - you weren't able to comment, comments weren't showing up - there were a few isues, so I took it off. If you did comment, I appreciate it. Clearly I need to do a little more research into installing this than I initially did. If you tried installing/have installed IntenseDebate - do you have any tips that might help me??? I have been unhappy with my commenting system for a while now and have wanted to look into other options. I put off this daunting task specifically until Bloggiesta - it's the perfect time for blog projects. I was debating between going to IntenseDebate or going to Disque...and decided to try IntenseDebate. Hopefully it will do all I hope it will - primarily allow me to reply directly to each comment. Perhaps this will help me in responding to all my commenters! If you have a chance, please leave a comment on this entry (the new system only applies to new entries) and try out my new system. Thanks in advance for participating!!! From the back of the audio case: Years ago, Lyra Davis left behind a world of wealth and privilege and the people she loves most in the world, unable to reconcile the expectations of her celebrated family with the longings of her own wild heart. Now she lives quietly among a community of expatriates on the isle of Capri, slowly learning to live fully for the first time. My thoughts: This book is a sequel to The Geometry of Sisters (click here to see my review) which I didn't know about until I picked up The Deep Blue Sea for Beginners to read the synopsis. I loved the first book and this one definitely didn't disappoint. In The Deep Blue Sea for Beginners we follow the story of Pell and her family, more specifically we find out why her mother left Pell and her sister so long ago. It is a story of a girl trying to reconnect with her mother and her search for deeper family understanding. The story line is engaging, and the diverse cast of characters is interesting as past experiences are woven into secondary story lines. We gradually learn what drove Lyra to leave her two young daughters, slow enough to savor the emotions yet not too slow as to have the story drag. With the changing points of view as the story is told, we are able to see deeper into the main characters. I love when authors continue stories about minor characters in additional books (Pell was just that in The Geometry of Sisters) - something Luanne Rice does quite a bit. Setting the book in Italy added to the charm of the story and was a departure from the norm for Luanne Rice - most of her books seem to be set in New England, particularly the Connecticut shore line. This was a refreshing change in setting. I have read quite a number of Luanne Rice books, and now I want to see what I missed and try to find them on audio - they are the perfect books to listen to! First line: It's like dancing sitting down. From the inside cover: Jack Mullen is in law school in New York City when the news comes that his brother, Peter, has drowned in the ocean off East Hampton. Jack knows his brother practically grew up in the water, and that this couldn't be an accident. Someone must have wanted his brother dead. But the police say otherwise. As Jack tries to uncover details of his brother's last night, he confronts a maddening barricade of lawyers, police, and paid protectors who separate the wealthy summer residents from local workers like Peter. Motivated by a hundred forms of grieve, Jack rallies his hometown friends to help him find the truth of Peter's death - no matter how rich or corrupt the people who stand in their way. Jack's relentless crusade puts him into a head-on collision with one of the most powerful and ruthless men in New York, a man who wipes out resistance with a snap of his fingers. As it unfolds that his brother was involved with some of the richest women and men in America - in ways Jack never imagined - his dream of justice fades. Only if he can somehow beat the rich at their own game will he be able to avenge his brother. 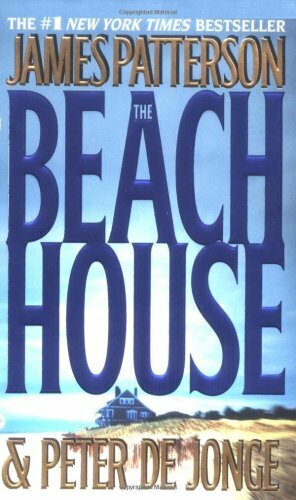 The Beach House is a breathtaking legal thriller of deceit and revenge - with a finale so shocking, it could only have come from the mind of James Patterson. My thoughts: As most of you know, I love reading James Patterson books and have devoured most of what he's written, so I was quite surprised to realize I had not read a few of his earlier books, The Beach House being one.Typical of reading a James Patterson book, this one was a fast-paced thriller that kept me hooked right from the beginning and the short, usually 2-3 page chapters just add to the hustle of the pace. While The Beach House focuses more on greed and the law, it still has what one expects from James Patterson - mystery, a little romance, tragedy, deceit, mayhem and suspense. After finding out his brother died under suspicious circumstances and not the suicide that the police were reporting it to be, Jack and his grandfather Mack are determined to get justice, going so far as to take matters into their own hands to get at the truth. Along the way they learn some disturbing things and discover that not everyone they thought were their friends really were so. Having grown up on Long Island, I was familiar with many of the landmarks/towns mentioned in this book, which always makes it more fun! The characters, both main and supporting, were well rounded and seemed as if they could be 'real' people you would meet on the street. They pull you into the story and you never know what is going to come next. I'm off now to find and read the other books I've missed by James Patterson. Day 1 of Bloggiesta IV, hosted by the lovely Natasha at Maw Books, is completed and I think I was pretty productive. Although I did have to spend time shoveling this morning and then I had to participate in a webinar/phone conference this afternoon, I still managed to log in some quality time on my blog. I'm hoping tomorrow to spend most of the day working on my blog - as of now I have nothing else to do/no where else to be! Current running time: 8 hrs. Thanks to Jen at Devourer of Books for hosting a challenge on how to create and use Google Documents. I have seen these used on other blogs and have been wanting to try it myself for a while and now I am. If you would please take the time to fill out my form, I would be very grateful and you will have a chance to win a prize! Thank you in advance to all those who take the time to participate! First line: "Girlfriend, this is not your thing," Lance said as he passed over three napkins, then clucked his tongue. It seemed like the perfect match...until the unthinkable happened. My thoughts: This was a fun, quick story that tugs at your heartstrings. It is a story about love: about a mother's love, about romantic love, about the redemptive power of love. Kerri Sullivan is a woman facing almost insurmountable odds. Her son, Cody, has been diagnosed with an incurable and terminal disease. After finding out that the one researcher who had been working on the disease abandoned his research due to an accident, Kerri was driven to finding funding to persuade him to get back to work. Willing to do just about anything to get the money, she approaches millionaire Nathan King. It just so happens that he, who's own son died from this same disease, was in a position to use Kerri to his own advantage. It seems like the perfect match - they would each benefit from their association. Their journey, of course, takes them on quite a ride. This novel combines witty dialogue, romance and humor to tell a heart-tugging story of survival, with a mother's undying love at the forefront. I was laughing and crying throughout the book and finished it in one sitting. This weekend I will be participating in my second Bloggiesta! This is a great weekend blogging marathon set up by Natasha at Maw Books, and this weekend will be the fourth installment. It’ll be a fun and hopefully very productive weekend. I'm hoping to log at least 25 hours during this event - hopefully I will get even more in though!!! 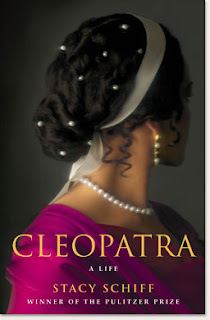 As no stone portrait of her has yet proved authentic, Andre Malraux's quip remains partly true: Nefertiti is a face without a queen; Cleopatra is a queen without a face." From Cleopatra: A Life by Stacy Schiff, pg. 39. First line: Most people hate Mondays. 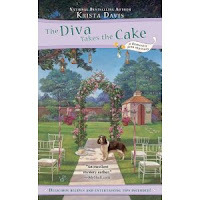 My thoughts: This is the first book in Kate Collin's Flower Shop Mystery series. While it was a quick read, with each chapter leaving you hanging and wanting to read more, the overall storyline felt a little lacking. Abby Knight has two loves in her life - her new flower shop, "Bloomers," and her vintage Corvette. Having just parked the car and heading to the shop, she is stunned when a man running out of an alley jumps into his black SUV and rams her car. Things turn interesting when Abby learns of a murder in a nearby apartment building, which happened just before Abby's car was hit. Could the killer be the person who hit her car? Abby thinks so. Now set on solving this murder, despite all the threats she's getting, Abby takes things into her own hands. Known for sticking her nose into things that don't concern her, she gets herself into quite a few hairy predicaments and while there always seems to be help in the right place at the right time, it all seems a little too predictable and at times, she seems a little too oblivious to the danger she is in. My other disappointment with this book is that there were no tips or advice surrounding the flower shop - that is one of the reasons why I love reading cozies and one of the reasons I picked this one up in the first place. I definitely have a black thumb when it comes to gardening/keeping house plants alive and I thought this book might offer some fun tips about flowers/plants. I was bummed to see this was not the case. I'm not sure this is a series I will be continuing. First line: Dear Sophie, My fiance's former girlfriend showed up at our engagement party uninvited and released four dozen white mice. From the back cover: Sophie Winston's sister, Hannah, is getting married - again! And if you ask Sophie, her future brother-in-law is no prince. But is he a killer? That's the question on everyone's mind when his ex-wife is found hanging from a pergola. This is one event Sophie and her sister hadn't planned on. As hidden family secrets begin to come to light, Sophie finds the list of suspects is almost as long as the list of wedding guests. Will the real killer be seated on the groom's side or the bride's? Or will he be standing at the altar? Either way, Sophie must solve the murder in time to stop her sister from making the biggest - and possibly the last - mistake of her life. My thoughts: This is the second book in Krista Davis's domestic diva mystery series. It is a fun, quick read where each chapter ends with a zinger that makes you want to read the next one right away. This time the mystery centers on Sophie's sister Hannah and her soon to be husband, Craig, whose ex-wife is found murdered right before the wedding. Of course, Sophie being Sophie, she can't help looking into things herself, especially since it happened practically in her backyard - really her ex's backyard, who lives a few houses away with his new girlfriend and Sophie's rival, Natasha. Their rivalry, Sophie and Natasha's, reaches new heights when they pull together to create an unforgettable wedding for Hannah. . .who's ideas will end up to being used? I loved reading all the advice bits at the beginning of each chapter, all of which revolved around weddings. It was intriguing how each seemed to hint as to what might be uncovered in that particular chapter. Sophie's advice seemed logical and even-keeled while Natasha's seemed a bit over the top! The family dynamic in this series is unique and fun to watch, with a very close (geographically and otherwise) ex-husband, match-making moms and of course, crazy Natasha. I look forward to reading the next in this series. First line: "That's the place," said Carmela Bertrand. From the inside cover: Carmela, owner of Memory Mine scrapbooking shop, and her best friend, Ava Gruiex, owner of Juju Voodoo, have a big project ahead. Melody Mayfeldt is converting an old mansion in the Faubourg Marigny district into an unforgettable haunted house for those who flock to New Orleans for a creepy fix. She needs Carmela's crafty touch to make the Medusa Manor come to life - and evoke the dead - in time for the upcoming horror convention, DiscordaCon. My thoughts: This is the seventh book in Laura Child's scrapbooking mysteries series. I really enjoy reading this series - it's always good for a laugh as Carmela and Ava get themselves into some pretty interesting predicaments. This time around, they are given the opportunity to decorate a haunted house. Seems like a simple, straightforward project until they go to meet with the owner and find her flaming body being thrown from the upstairs window. As Carmela and Ava start investigating the death of their friend, they are confronted with a host of suspects and weird happenings. Visiting graveyards, being followed, designing the haunted house - it's all in a days work and adds quite a bit of suspense to the storyline. And during all this, Carmela and Shamus finally seem to be close to nearing a settlement in their divorce, if they can keep Shamus's sister Glory from butting in. As always there are plenty of scrapbooking tips and yummy southern recipes included in the book, some of which I can't wait to try! 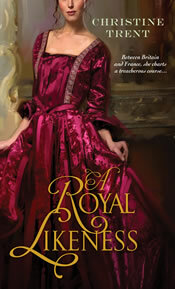 A quick, suspenseful read, I am eager to see what kind of mischief Carmela will get herself into next. First line: It wasn't that Carmela didn't like Mardi Gras. From the inside cover: Amid zydeco rhythms and popping champagne corks, bead-draped revelers are moving into the streets, and Jekyl Hardy is playing host to a party in his elegant French Quarter apartment. On a wild night like this, anything can happen. The guests - including Carmela - never imagine it will be murder. But as the evening progresses, Jekyl's neighbor, float designer Archie Baudier, is found on the balcony strangled with a barbed wire garrote. The only things wilder than the crime are the far-flung theories about who did it - from a ritualistic slaying to a mob hit to the outlandish work of a rival Mardi Gras float builder. Handsome detective Edgar Babcock isn't buying any of it. Neither is Carmela, and the odd clues are bringing out the sleuth in her: gold paint on the victim's shoes, a strange coin found next to his body, his ransacked apartment, and the peculiar fact that no one at the party really knew him. Only one thing is clear: Whoever killed Archie is following Carmela - straight into the chaos of Mardi Gras. 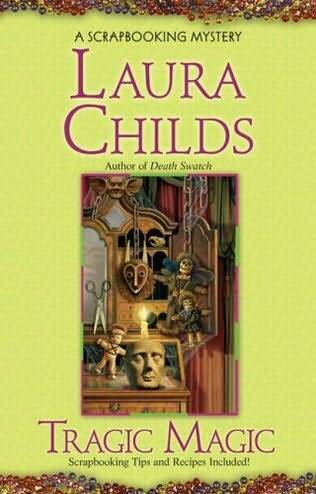 My thoughts: This is the sixth book in Laura Child's scrapbooking mysteries series and it was a fun, quick read. Death Swatch is set against the backdrop of Mardi Gras in a post-Katrina New Orleans. Invited to a kickoff celebration by friend Jekyl Hardy, Carmela once again stumbles upon a dead body. Because the party and the ensuing death happened at his residence, Jekyl becomes a prime suspect in the crime. He then begs Carmela to help him clear his name and find their friend's killer - a plea Carmela can't ignore. Off on an adventure they won't be quick to forget, Carmela and pal, Ava, are taken through the glamour of old New Orleans, the building of Mardi Gras floats, and some scary times in a lonely bayou in search not only of the murderer but also of long-hidden treasure. We again meet a bunch of quirky characters, including an imposing Russian Mafioso, an unlikely museum curator, and a sullen coin dealer, and find out what is going on with some familiar characters of the series, Detective Edgar Babcock, Shamus, and of course, Glory, Shamus's older sister. Filled with lots of interesting information about the city of New Orleans, along with great scrapbooking tips and some mouth-watering recipes, Death Swatch will have you guessing right up to the end who did it. I find a lot of books that I want to read from my fellow book bloggers. Each day I feel there are more books that I add to my to-be-read list than I can ever possibly get through, but I keep adding! I also tend to find some good book suggestions on Goodreads and from the New York Times Book Review - I love Saturday mornings when that part of the paper is delivered! Occasionally I find books to read when I head to the library - although, I am usually there just to pick up a book I requested. Of course, I also get some good recommendations from family members and my book club.